FAQ. You have questions, we have answers. How hard are the Rambles? The Rambles are challenging and not something to ride off the couch. Don’t let the “supported” moniker fool you. The roads are long, steep and desolate. You’ll be challenged even if you consider yourself accomplished on a bicycle. 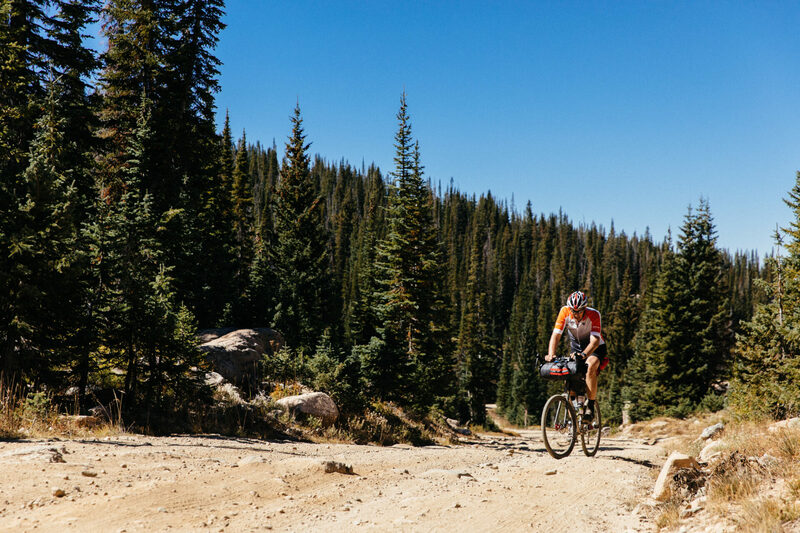 You’re still carrying gear, and you’re still riding 200 plus miles over an average of 20K feet of climbing. On gravel. Here’s a bit of real-talk: don’t come on the rides if you haven’t been riding. As much as I want you to, don’t. If you can’t ride 75 miles at a time, it’ll be hard and you won’t enjoy yourself. You should also be able to do this for three consecutive days. 10 mph is the golden mean that each Ramble Ride seems to confirm. That means 8-10 hours a day on a bike including stops. Challenging but not undoable. Summer events have the benefit of extra hours of light. Fall events not so much. Keep that in mind. Two hours from dinner, vehicles push forward and sweep everyone more than 20 miles from the end. This is for safety and to ensure we’re all in camp for the evening at a decent hour. If you have ANY questions about your ability to do these rides, please reach out. Can my kids come? Sorry, no. Our minimum age is 21. Can I get a refund? Things come up. We get it. Because we book and permit far in advance and this is based on participation, we can’t offer a full refund but can offer a 50% refund up to 60 days prior to an event. Under 60 days we cannot refund your entry but can transfer your entry to another ride or to another person. Should we have a waitlist (which we often do), we absolutely will transfer your registration to another rider for a full refund. We also cannot refund in the event of a natural disaster or other event-ending situation. We reserve the right to cancel an event, mid-ride in the case of a life-threatening or safety issue (ie. snowstorm, wildfire, etc.). Can my spouse / friend / significant-other carry my gear? No. 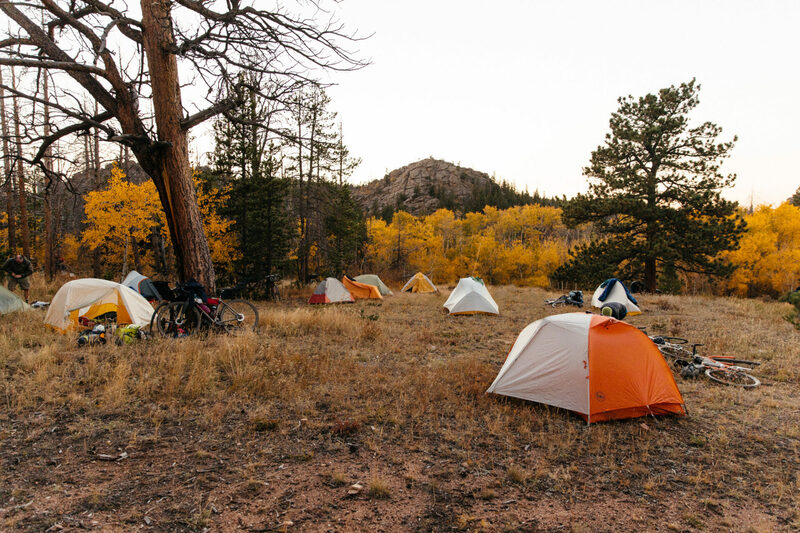 This is a bikepacking event. Not a bike porter event. You carry your own gear. Can I ride an ebike? This is becoming an increasingly popular question. I can certainly see that for some, a pedal assist would make this event achievable. However, at this point, no ebikes. First, the distances are too far for current technology and we lack reliable power for recharging at most of the camps. Can my family/friends visit me during the event? No. While the roads are public, and not closed, any additional traffic just creates safety concerns for the riders, staff, and folks in general. We also use available camp parking for all event vehicles. NO PERSONAL VEHICLES on the route or in camp. The exception is the final dinner if you’ve purchased a family/friend meal ticket. Tell me about this camp bag. The camp bag is meant to supplement your gear for the trip. Keep it to 50 liters or less in size. What you put in it is up to you, but I have a post about what I put in mine. Summer Rambles, you can get away with less, but Spring or Fall Rambles might require you to have more clothing. We also don’t care how you split your gear. If you can stuff your tent in the camp bag, great. But regardless of what you bring, it needs to fit either on your bike or your 50 liters or less camp bag. What type of bike do you recommend? I’m a fan of “Run what you Brung” so I will always recommend the bike you feel most comfortable and confident on as long as it has a minimum of 38c tire width. We have all sorts of bikes on the Rambles from Single Speeds, Klunkers, Hard Tail and Full Suspension MTBs, Gravel Bikes, Fat Bikes, etc. Low gearing is best and if you have multiple bikes, bring the one with the lowest gearing. Make sure to have it checked out by a competent mechanic before the ride, and carry tools and items for general repair as you might wait a while for a sag vehicle. Do you offer food for restrictive or non-meat diets? We do. Tanesha always has a vegetarian/vegan offering based on those that identify their need at registration. We also make sure that if you have an allergy or other dietary need we accommodate. It will be important to let us know when you register, however. Every year someone forgets so don’t be that person. What are meals like? While many riders do bring some specific ride food like nuts, or other items they personally love, we try to take care of everything else. Breakfast has a lot of hearty items plus grab-and-go items for those that don’t like to eat first thing (like me!). And coffee…lots of coffee. Every morning we lay out a spread of ride food that you can grab in addition to breakfast items. Lunch is lighter and consists of sandwiches, fruit and smaller items that are easy to eat, carry and won’t bog you down mid-ride. There are always one or two additional aid stations and a “surprise and delight” stop that riders always love coming across. Dinners are full-on fares and you won’t go hungry. And if you are, just ask Tanesha for something else. Tanesha is a long-time backcountry chef, rider and is always one of the highlights of the event. Don’t forget your mess kit, however: cup, bowl or plate, and utensils. What does “partially supported” mean? The intent of the Ramble Rides is to give you a sense of adventure. An average day is 8-10 hours on the bike in some desolate areas. This includes stops and lunch. Most riders only see the motorcycle support folks, so that means you’re riding mostly on your own. There is a lead vehicle marking the day’s course, a follow vehicle sweeping the course and minimally one motorcycle support riding up and down the event. For larger events, we’ll have three motorcycle riders with food, water, and some tools. Each ride has medical support riders carrying their gear. In case of an emergency, they can be called to any location on the route to assess and support as needed. Check out our section on what to bring for more info. Why are the field limits so small? A lot of folks wonder why we limit each ride to 80 riders. In reality, it’s closer to 100 riders after partner entries, journalists, etc. In 2017 the largest ride was 98 riders. First, taking 98 riders over 200 miles for three days across several mountain ranges, all with varying levels of abilities is daunting. Second, we want to travel as lightly as possible and not overwhelm the campsites, communities, and landscapes we visit. Lastly, we want everyone to feel like they got to know everyone on the ride. Talk with past riders and the overwhelming sense of camaraderie is something everyone feels. That’s the magic of the Rambles: folks of all abilities and experiences coming together over three days of a shared adventure. Our final dinner always feels more like a family meal. Come ride with us and see what I mean.